This key text is written for senior undergraduate and graduate engineering students. It delivers a complete introduction to finite element methods and to automatic adaptation (error estimation) that will enable students to understand and use FEA as a true engineering tool. It has been specifically developed to be accessible to non-mathematics students and provides the only complete text for FEA with error estimators for non-mathematicians. 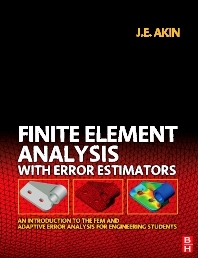 Error estimation is taught on nearly half of all FEM courses for engineers at senior undergraduate and postgraduate level; no other existing textbook for this market covers this topic.